Good news for Indiana thanks to President-elect Donald Trump. 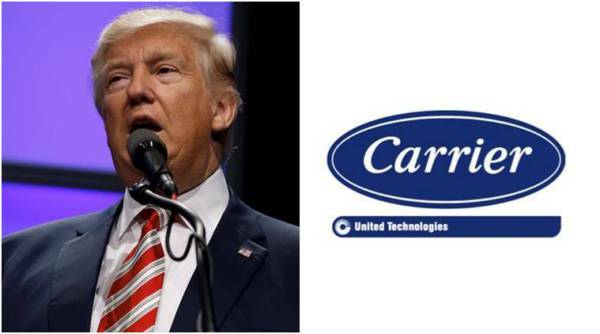 Trump reaches deal with Carrier to keep jobs in Indiana. Carrier confirms 1,000 jobs have been kept in Indiana thanks to the deal. Donald Trump and Mike Pence planned to travel to Indiana on Thursday. The trip is so they can unveil the agreement while alongside Carrier company officials. Details of the agreement have yet to surface. A Trump transition source confirmed with Fox News that executives from Carrier were at Trump Tower on Tuesday to work out the deal. A big part of Trump’s campaign was dedicated to keeping companies like Carrier from taking their jobs to other countries. He focused on manufacturing jobs and it appealed to voters in Michigan. This is a state that been blue for quite a while until Trump. While having a September debate with Hillary Clinton, Trump called out Carrier’s decision to move hundreds of their manufacturing jobs to Mexico. These specific jobs were based in Indianapolis. Carrier announced in February that it would close its Indianapolis plant. The layoffs would happen over the course of three years, starting in 2017. This would eliminate 1,400 U.S. jobs. Trump posted an update on Thanksgiving with regards to these jobs staying in the United States. Trump has been working day and night with his transition team, but plans on multiple public appearances this week. Thursday he will meet with Carrier and present their agreement. He also has stops on his “Donald Trump Thank You Tour” later this week as well. While a lot of people are doubting Trump, this is a big step in the right direction.